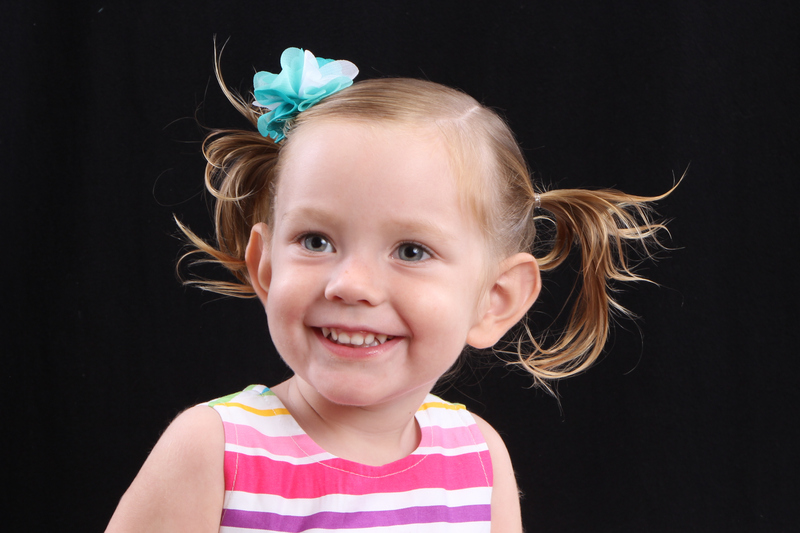 Belize is not set up to handle premature babies or mothers with extenuating circumstances. The NICU in Belize City was closed in 2013 because there were too many infant deaths and just reopened in 2014. So if you were an older mother, or you knew your child had a small chance of anything other than a perfect, normal delivery – Belizeans would go to the US or the UK or sometimes even Mexico or Guatemala. Understandably. I would have too. 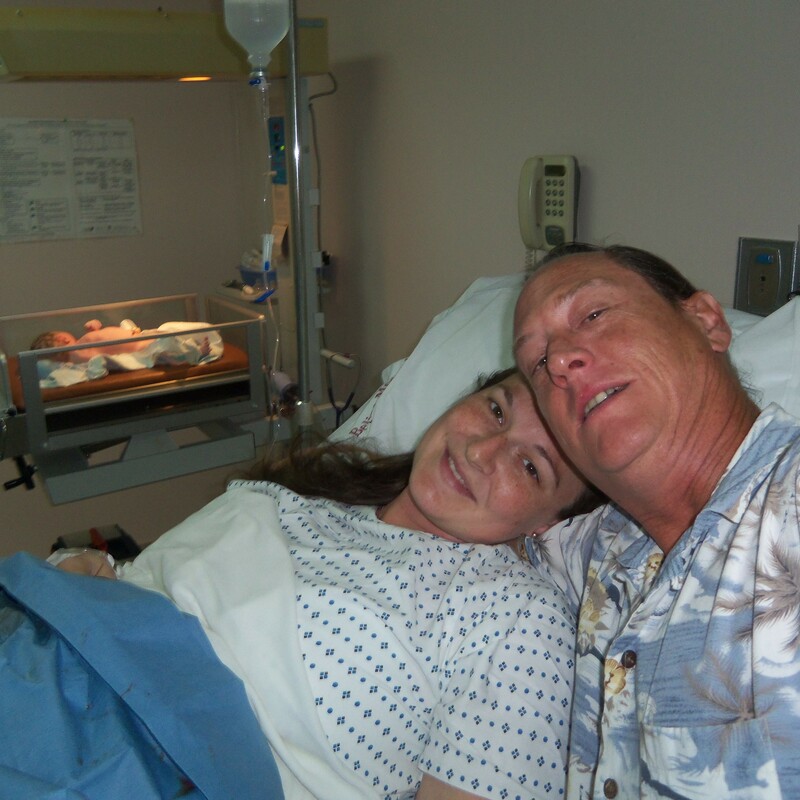 I – thankfully – had a very healthy baby and a great experience giving birth in Belize City at Belize Medical Associates. I’m also crazy like that. I think I’ve even convinced some of the locals to give it a try. Other than my family not being with us, it was one of my best (out of 3) birthing experiences. When it came time for labor I actually needed to be induced – something I had done before (baby #1) and hated it. 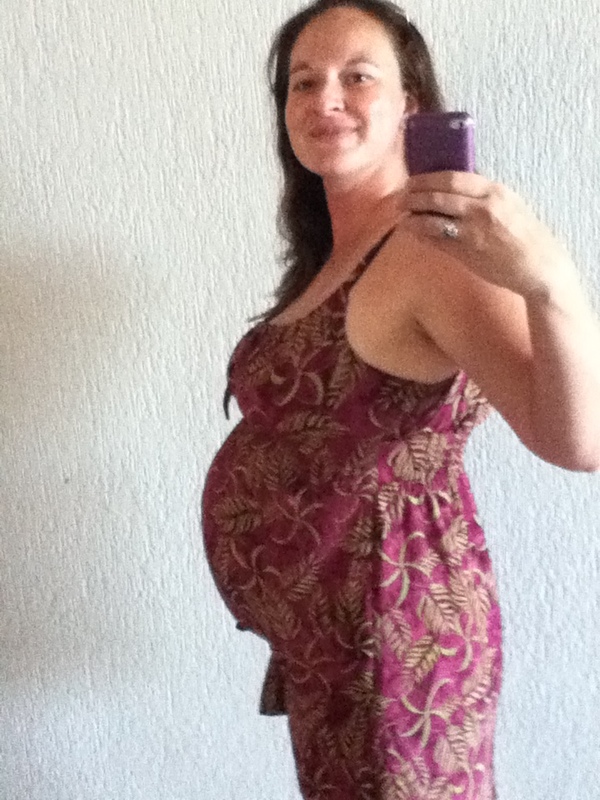 But my blood sugar had spiked and I was a week and a half out from my due date – so we decided to induce. My OB went very very slow with the medication. I told her I responded quickly to smaller amounts of meds than most people. She took my word for it and proceeded with caution. I really felt like I was being treated like a person – and not just another woman giving birth who thinks she knows what she wants. Which is how I felt in the US hospital. 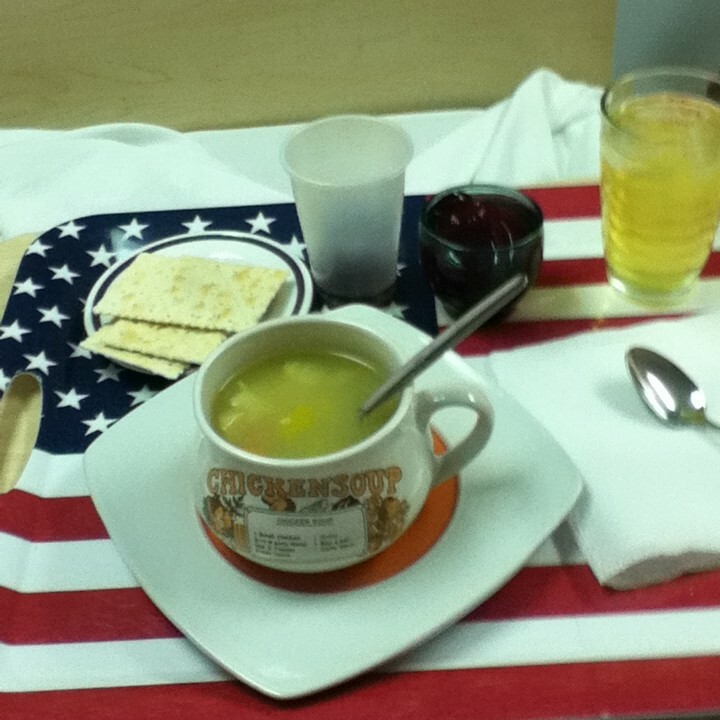 I had homemade food on a USA flag tray! The entire time I am in labor I had my own midwife attending to me as well as my OB. She encouraged me to eat (yes eat!) walk, rock in the chair and move around any way I could. I was never hooked up to machines and told to stay in bed. For me- this was awesome! Last time I gave birth in a hospital I was strapped down to monitors and told I should just go ahead and have an epidural so I didn’t need to move so much!! Blah. So my midwife, husband and I labored through most of the day together. Eating and laughing and sending FB pics to the grandparents and family back home. 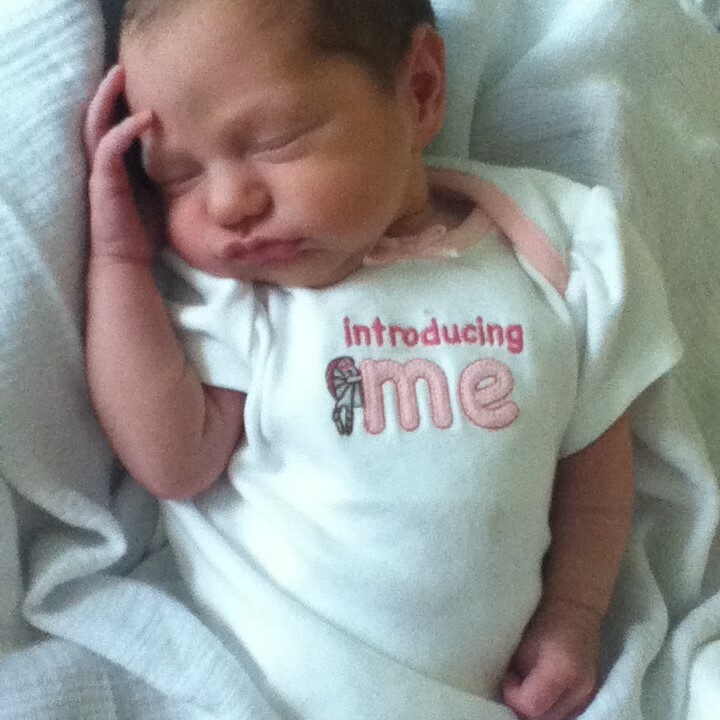 When we knew the delivery was getting close, the hospital called in our pediatrician who ALSO attends the birth. So when little Beena was born she had her doctor and I had mine. It was beautiful, thoughtful, and seamless. You could tell this team had done this many many times. Everyone was calm, encouraging and patient. And the best part – the entire two night stay, entire birth, and EVERYTHING they gave us in the hospital came to a grand total of $1500. Yes, you heard me right. 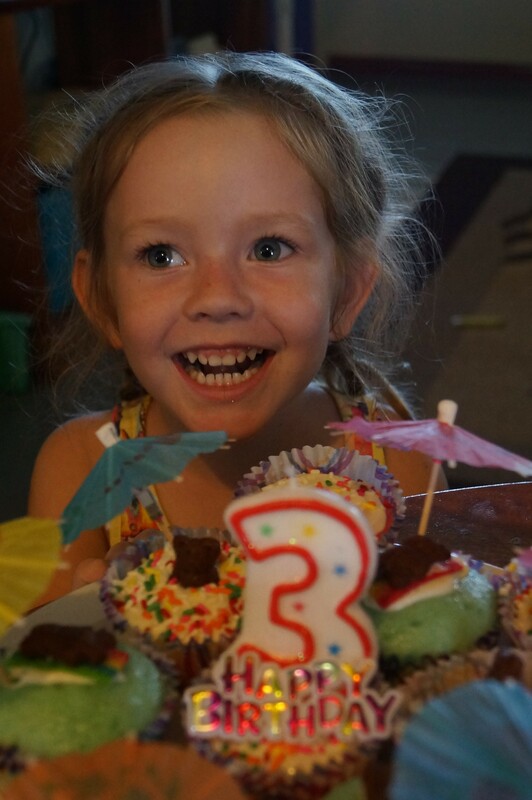 The little booger is about to be 4 this Summer – and has had excellent attentive medical care her entire life. Thanks to all the doctors and nurses who’ve helped our family and who made our transition to Belize so easy! 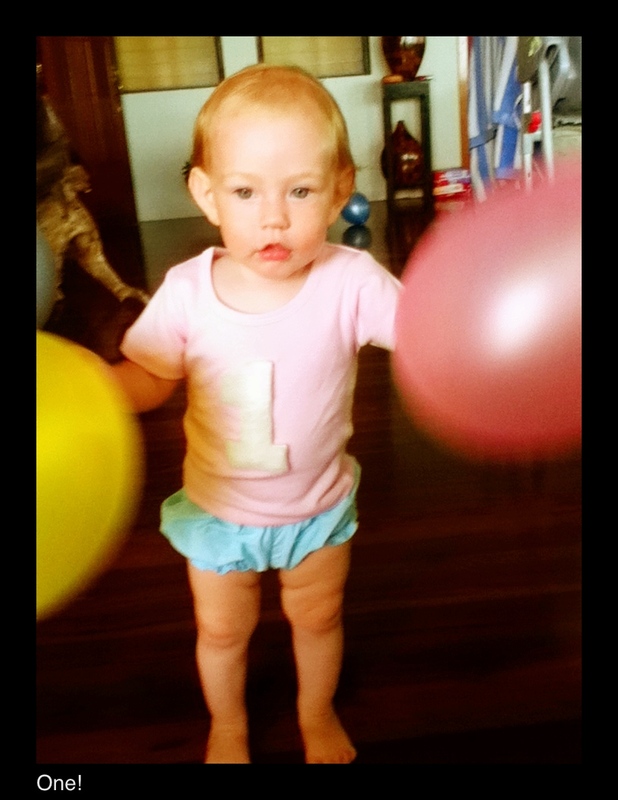 Want to know more about having a baby in Belize as an expat? Hit me up! ashleyinbelize@yahoo.com or comment below. If there are reasons to suspect complications, then perhaps heading to a hospital on the US or equivalent is a smart thing to do. But since the US has the HIGHEST infant mortality rate among developed nations (http://www.cdc.gov/nchs/data/nvsr/nvsr63/nvsr63_05.pdf) it is perhaps wiser when complications are not expected to seek out a competent midwife, whether in Belize or the US, and have your baby at home (but close enough to transport to a hospital in case of unexpected complications). The World Health Organization has been pushing this to the US for some time, because the “cover my behind” actions of doctors may preclude some dramatic problems, but actually lead to hosts of others. We spent 3.5 years in Belize, during which time my wife had one abdominal surgery in Cayo, and 2 lithotripsies for kidney stones — one in Guatemala City and the other in Chetumal. While the Belize surgery was 30 – 40 years behind modern, it was competent, and the other 2 were state of the art but at 12.5% (Chetumal) and 20% (Guatemala City) of the costs of the same surgery in the US. Great comments! Thanks for sharing. You are right, the equipment can be old. The birthing room I was in was just a regular hospital type room, not a huge fancy suite with Ritz Carlton amenities. And I’m sure this is a main reason for being much more affordable. And having had three kids, I can say that the suite isn’t worth the money they charge you. In fact you can go to a Ritz Carlton for less money, lol. I was there to have a baby, not vacation. We are blessed though to have the ability to return to the USA should anyone in our family require more advanced medical care. But Cayman just built a “Healthy City” that I think I’d try first 🙂 or maybe Thailand? Great story! We are relocated to the Corozal northern district late 2016, early 2017. 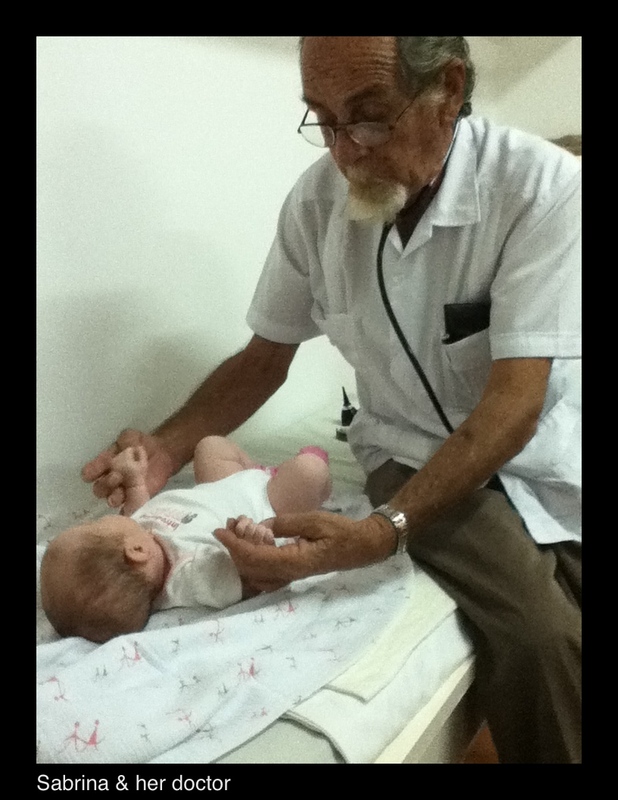 I am a Certified Professional Midwife and would like to open a water birthing center in Corozal for the mothers there. It would be free or very low-cost for them. Midwifery students from the US and CPMs and CNMs (Certified Nurse-Midwives) would come to work there, providing care and training/supervision for the students. What do you think? Is this a good idea? As midwives & mothers ourselves, we promote natural physiological birth with no interventions unless necessary. AND we promote prenatal care, breastfeeding, and other great services for pregnant women & new mothers. Do you know any midwives in Belize?